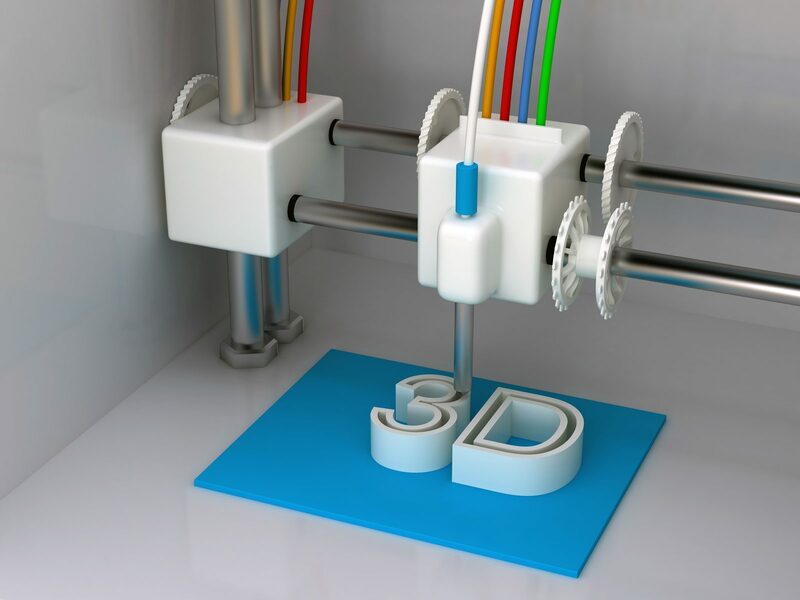 Currently, 3D printing has a limited selection of plastic material options. Right now, a customer typically utilizes ABS, PLA, Wood, and Nylon for 3D printing. While CNC Machining offers a much wider array of materials. However, 3D printing is an excellent choice when you need to create a small number of parts. This works well during the testing and prototyping phases. Since CNC machining typically has at least a ten-part minimum, 3D printing is a great option for smaller orders. 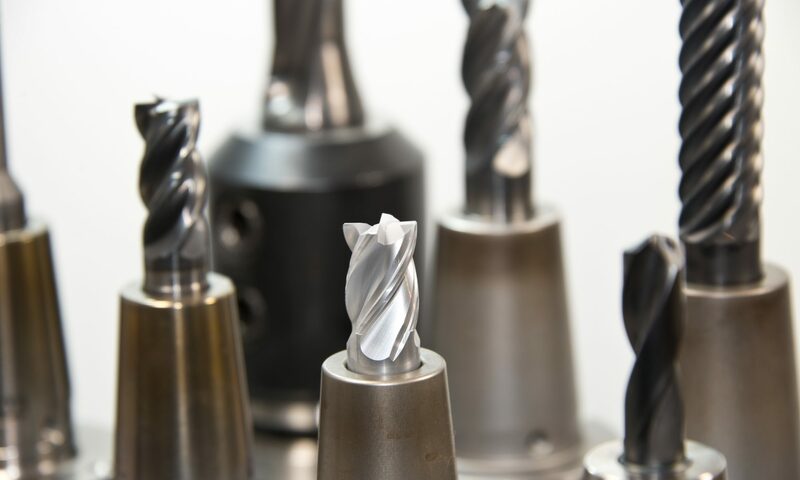 Once you are finished with your testing and prototyping stages, we recommend you move to CNC machining for the manufacturing of your parts due to efficiency and cost. 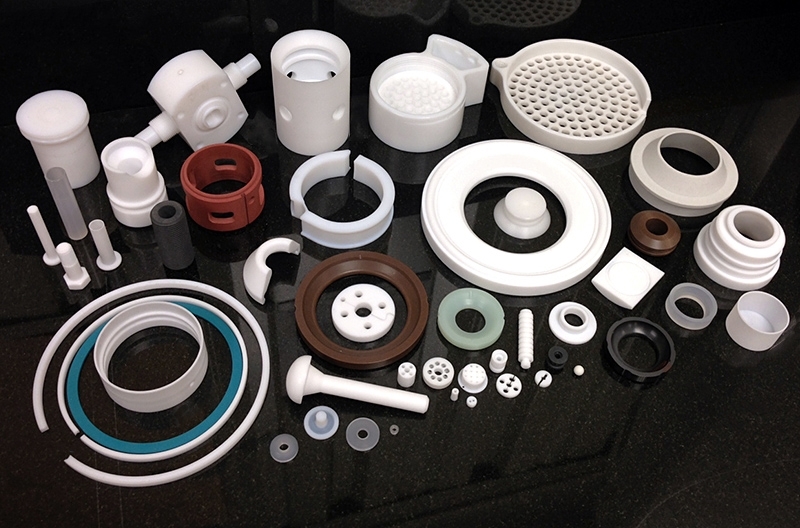 CNC precision plastic machining has the ability to manufacture parts in materials such as Acetal, Acrylic, Delrin, Nylon, PCTFE, PEEK, Polycarbonate, PTFE, Semitron, Techtron, Torlon, and Ultem to name a few. CNC Machining is also more accurate than 3D printing and allows for more precise and tight tolerances. It is more accurate by + or – .05 inches. Overall we recommend using 3D printing during prototyping and switching over to CNC Machining when you are ready to produce your parts to increase accuracy, efficiencies, and reduce costs. Every year thousands of students from around Orange Country compete in the First Robotics Competition. The parameters of the competition are to build a robot that can compete in the “game” or obstacles course. FIRST announces the parameters of the course at the beginning of each year. There are over 3,000 teams competing, and each team has only 6 weeks to create the winning robot. In Orange County, we have a wonderful non-profit group called Clockwork Oranges that helps our local students participate. In November of 2018 a group of local high school students decided to take on the challenge. Now, three months later they are in the final stages of development. 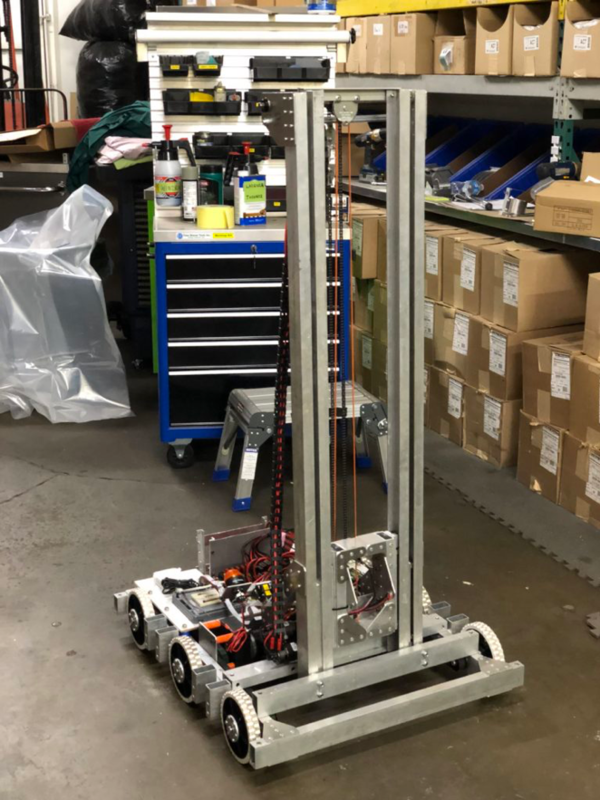 The robot has a PID controller, two-stage elevator capabilities, left and right auto switch scoring, can climb, as well as a pneumatic power cube collector. These attributes were thought-out and designed to specifically compete in this year’s games. The students have been able to utilize their mathematics and STEM skills in a real-world application that is not typically available at high schools. At M&R Engineering, we have realized that the mathematics and STEM skills that the students learn while building their robot directly transfer over to valuable skills sets in the manufacturing and engineering industries. As a CNC machine shop, it has been a pleasure to watch the students grow in these areas and help foster their knowledge in ways we know will assist them in their future careers and endeavors. Clockwork Oranges was founded in 2011 by a small group of students and professional engineers. With no resources to utilize the group started by working out of a run-down auto shop. After sourcing money from local companies that were willing to donate to their cause, the group was able to convert the old auto-shop into the robotics lab the group uses today. Now Clockwork Oranges helps teach local kids about science, technology, engineering, project management, development, design, fabrication, assembly, graphics, and math skills, as well as soft skills like professionalism, business skills, and teamwork. They are currently funded by the local community through sponsorships like the one we have committed to. As a machine shop in Orange County, we love the opportunity to help our community grow! If you are interested in getting involved and supporting our local high school community click here. Manufacturers across the country use MFG Day as an opportunity to inspire and recruit the next generation of manufacturers. 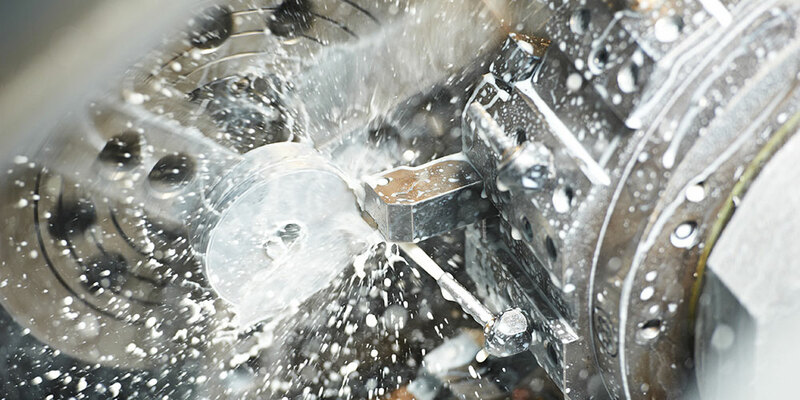 As you may know, there is a deficient amount of qualified talent in the manufacturing industry to complete the requested machined parts projects. Simply put, there is not a large enough qualified labor force to fill the current need. There are two main reasons why this is happening. One is because of the way the manufacturing industry was marketed and presented to students over the past fifty years. The second is because of the lack of available courses on the necessary subjects. Part of the way that we can combat this issue is to participate in events like MFG Day to help educate students and adjust their perception of the industry. It is important to help facilitate the understanding of the “new collar” work that manufacturing now represents, as Ginni Rometty CEO from IBM described. Today’s manufacturing industry requires people with a specialized skill set compared to the traditional “blue collar” assembly job. Explaining this to students when they are in process of deciding which career path they’d like to follow is very powerful in assisting in changing the connotations around the industry. On October 5, 2018, M&R Engineering will be hosting high school students from local high schools for MFG Day. The students will receive a tour of the facility as well as a presentation of the potential career paths available in the manufacturing industry. If you would like to participate in the tour or presentation to the students please click here. We welcome all support from the local manufacturing industry to help catapult us towards a future filled with more jobs available. Click here to learn more. The former COO of M&R Engineering, Natalia Sephton, is the new owner of M&R Engineering! We are excited to announce some new operational efficiency enhancements coming down the pipe for M&R Engineering. Quotes– the quotes will be generated out of the GlobalShop MRP system. Creating a more efficient and user-friendly experience for our customers when viewing, reviewing, and purchasing from the quotes we submit. Email Alerts– customers will receive email notifications when their order has transitioned into the next stage. For example, once the order has been confirmed and moves to the manufacturing stage, the customer will be alerted, as well as the tracking information when the order has been shipped. If there are any other improvements you’d like to see M&R Engineering make, please don’t hesitate to email Natalia at natalia@m-reng.com with your suggestions. Our goal is to make working with M&R Engineering a simple, seamless experience in your manufacturing process. Imagine being able to explore the black hole that currently resides in the middle of the Milky Way Galaxy. This is a phenomenon that scientists have had to marvel at from afar for decades. 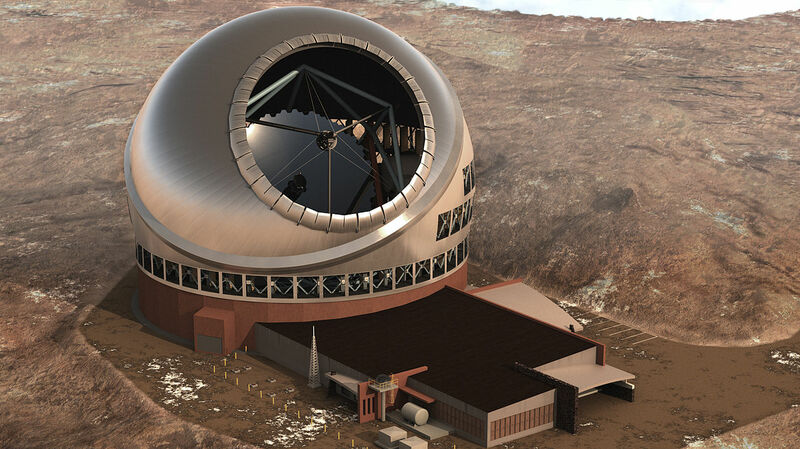 This dream is about to become a reality for scientists due to The Thirty Meter Telescope’s capabilities. A project that M&R Engineering is proud to be a part of. M&R Engineering contributed our CNC machining services by creating high precision parts for the telescope. The Thirty Meter Telescope project began in 2000 with TMT International Observatory. Their vision is to create a state of the art telescope that is capable of exploring the beginning phases of the universe. Especially when the first stars and galaxies were formed. This will allow mankind more information about the universe’s evolution, specifically related to the infamous “first-light” objects. In 2009 TMT scientists finished their five-year analysis of every feasible location for the telescope. During this process, they measured each atmospheric feature that might affect the performance of the telescope. Finally deciding on Maunakea, Hawaii was the ultimate location for peak performance. Over the last 10 years, the project has undergone numerous meetings, discussions, protests, and presentations. All regarding the cultural and natural significance to the physical location of the telescope. Coming to an agreement in 2018, the project is now back underway and M&R Engineering has partnered with TMT in the creation of this engineering and scientific breakthrough. The Thirty Meter Telescope will not only assist in the exploration of the “first-light” objects. The scientists will also be able to explore the intergalactic medium, dark matter, and distant galaxies. As well as the physical process that lead to star and planet formation. Not to mention the exploration of life on other planets. During the planning phase, M&R Engineering was referred to TMT by past M&R Engineering customers because of our ability to solve complex technical issues as a precision machine shop and deliver on time parts. This capability became a considerable advantage to TMT when M&R Engineering was able to assist during the design phase and identify several issues on the drawings that other manufacturing companies had missed. These engineering issues would have caused considerable delays and costly remakes if they were not caught beforehand. Finding the issues prior to manufacturing coupled with an expedited delivery of over twenty custom parts within the critical deadline allowed M&R Engineering to significantly improve the building process for TMT. 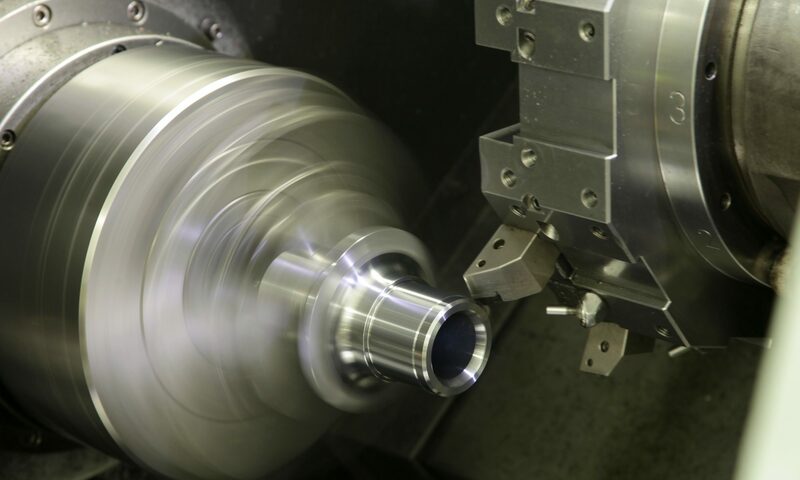 We believe in constant transparent communication as one of our standard CNC machining services. Our partnership with TMT led to a successful planning & building phase for TMT. We are excited to see the scientific revelations that come from The Thirty Meter Telescope’s completion. Click here to stay up to date on the project’s completion and scientific discoveries. As a metal manufacturing industry, we are excited to see the big push to bring machining manufacturing companies jobs back to the US with the “re-shoring” and “American made” movements. However, for current business owners, there is a large obstacle in the way of our success. This is the lack of talent to complete these machined parts projects. Simply put, there is not a large enough qualified labor force to fill the current need. “American machining manufacturing companies already face significant skills shortages and are on pace to have two million unfilled manufacturing jobs by 2025. Many of these positions require higher-tech skills to operate and support advanced manufacturing equipment.” Mark Crawford explains in his article, “‘New Collar’ Workers Are the Future of Manufacturing.” In other words, finding qualified talent is going to become even more difficult with the increase in demand. In this article, we dive into why this is happening and what you can do about it. “Over the last 10 years, I have noticed that the factory populations have become more and more out of balance. There is a heavy concentration of employees with many years of experience at the expert level of their craft. In conjunction with the very few entry-level employees looking to build their careers. As years go by the expert employees retire, leaving a huge gap in the skill sets available,” describes Vice President and COO, Natalia Sephton. The youth is taught that the manufacturing industry is undesirable & low paying. The industry falls prey to a widespread negative stereotype which causes people to pursue other career paths. The lack of available educational opportunities. There are very few trade-schools or community colleges offering courses on the necessary subjects. Presently, there are a few things you can do to help improve these issues. First and foremost, take part in and support the re-branding initiatives for the manufacturing industry. The government and large companies have recently put a lot of energy into re-branding the machining manufacturing companies industry as something more desirable and respectable. As a matter of fact, Mark Crawford further describes this phenomenon his article, “‘New Collar’ Workers Are the Future of Manufacturing,” by explaining that “these workers represent the “new collar” workforce, which requires more specialized training compared to the traditional “blue collar” assembly job,” assisting in changing the connotations around the industry. Some examples initiatives include Manufacturing Day, Manufacturing Week, and STEM. M&R Engineering as a company makes a point to always support these initiatives and has found the process to not only benefit the industry, but also the local high school students. Unfortunately, on the issue of educational opportunities, it seems there is less support for change. These highly technical positions, “require workers with more advanced skills—typically one or two years of post-secondary education or training,” states Mark Crawford. This is especially true for specializations, for example, machined parts. However, this training is not readily available. Natalia explains, “I do not see a sufficient effort in the number of available programs to educate machinists. Presently, our two only local options are CMTC and a program at Cerritos College. We partner with those schools also but their curriculum is very limited and at best you get an entry-level metal manufacturing employee with very limited skills.” In the meantime, M&R Engineering has found a workaround for this issue, an internal apprenticeship program. “Incidentally, since we cannot rely on outside organizations to assist in creating a qualified labor market, we have created our own,” Natalia illustrates. Check out the following video to see what M&R Engineering does for our metal manufacturing apprentices. In conclusion, there are two main ways to help improve the trajectory of the manufacturing industry’s labor market. First, is to get involved with the re-branding initiatives for the industry as a whole. Second, to create an internal training program to assist in the education of the current labor force. We know that creating an internal training program is no small task. If you would like some advice on this subject please contact us by clicking here, and we would be happy to write an article on the topic with some pointers. Crawford, Mark. “‘New Collar’ Workers Are the Future of Manufacturing.” Gray: Engineering, Architecture, and Construction, 21 Mar. 2018, www.gray.com/news/blog/2018/03/21/%E2%80%9Cnew-collar%E2%80%9D-workers-are-the-future-of-manufacturing. Our CNC Machine Shop recognized as CMTC Made in California Manufacturer of the Week! M&R Engineering, a CNC Machine Shop, was chosen as California Manufacturing Network’s Made in California Manufacturer of the week! M&R Engineering was chosen due to our 40 years of experience in delivering high precision Swiss screw machine parts while supporting the local Californian community as a CNC machine shop. M&R Engineering takes pride in our ability to manufacture screw machine parts in California. Contributing to the local community and participating in the growth of the manufacturing industry are two company core values. We are proud to say we have been a Made in California Manufacturer for over 40 years. Additionally, M&R Engineering contributes to the local industry by teaching local high school students about opportunities in the manufacturing industry. Each year on National Manufacturing Day, we bring 30-50 local high school students to the M&R Engineering CNC machine shop in the city of Orange, CA for a day of learning and fun. This day usually consists of presentations by the different departments in the company, as well a tour of the facility. In addition to the standard agenda, this past year we were able to share a hands-on experience with the students. As a result, the students were able to measure high precision plastic parts with the Keyence XM Series Hand-Held Probe CMM. Most notably, the attendance of National Manufacturing Day has been growing year over year. Is being a Made in California Manufacturer important to you and your company? If so, please show your support for Made in California Manufactured parts by sharing this article! L3 Communication awards an Orange County based screw machine shop, M&R Engineering, with Supplier Appreciation Award for “Exemplary Quality and Delivery Performance”! M&R Engineering takes pride in delivering quality screw machine metal and plastic products on time to our customers. Therefore, we are excited to receive this recognition! M&R Engineering started to provide screw machine parts to L3 Communication early 2017. Within one year we were able to demonstrate our expertise in providing quality high precision machined parts. We have over 60 pieces equipment including Lathe, SWISS and Mill and Davenport machines. We work two shifts, as a result, we are able to react quickly to customer short lead time needs.